Holdenby Road. House previously to the right of the only remaining cottage (Bert Morris) at the bottom of the road. 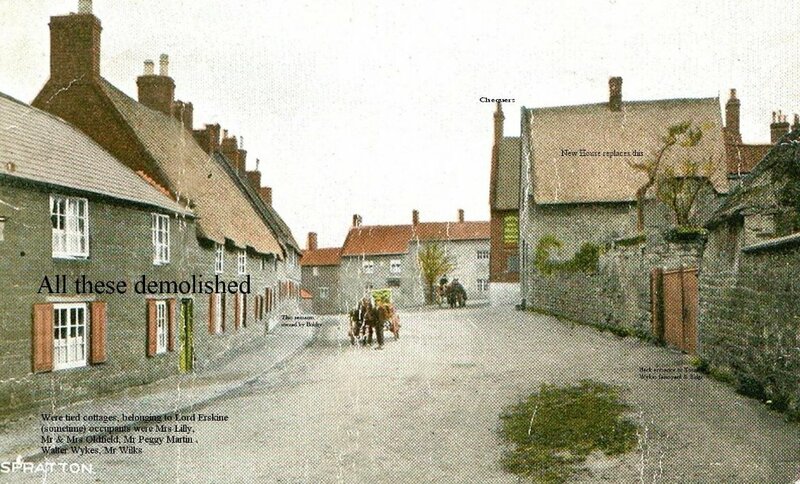 To the right of the group of people is the house on the corner of Holdenby Road and Church Road. Both houses were demolished to allow the buses to take this corner. Radley House at the junction of The Walk & Holdenby Road. 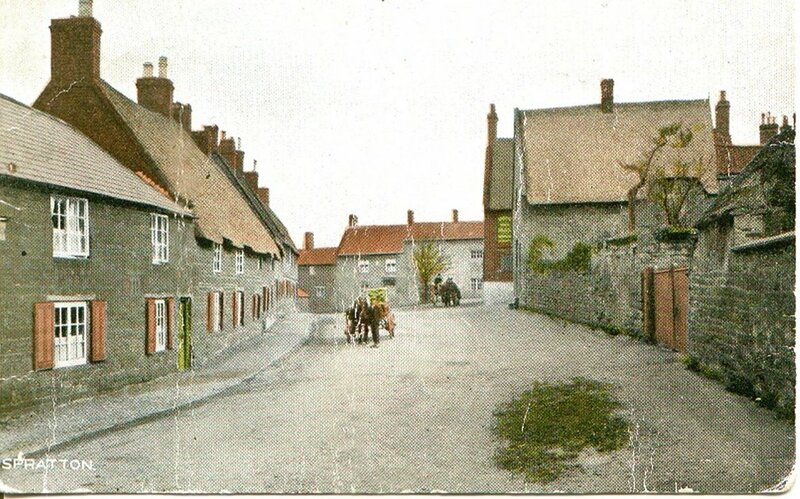 The two cottages were linked into a single house in 1964/5. Owners Brindley Tyrell and Sandra Radford, who married in 1966/7, used their names to create the name of the house. The lead Fire Insurance badge on the house is not the original one for the house. 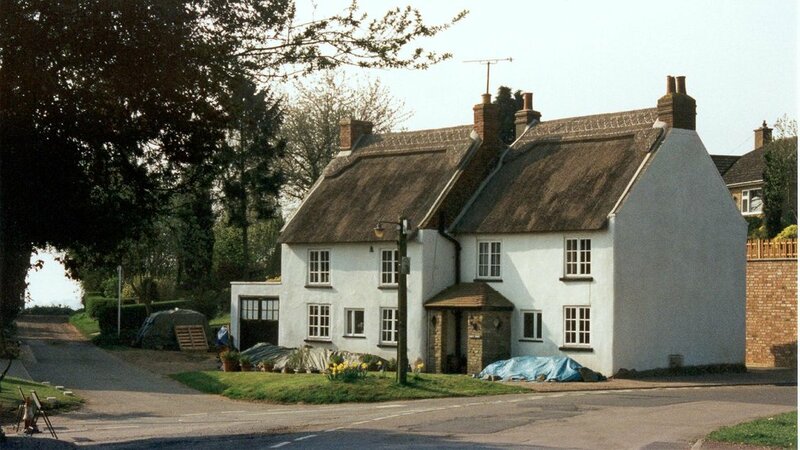 The main house was thatched with Continental Water Reed by Bob Farmer in 1987/8, and re-ridged by Roger Scanlan in 2001. 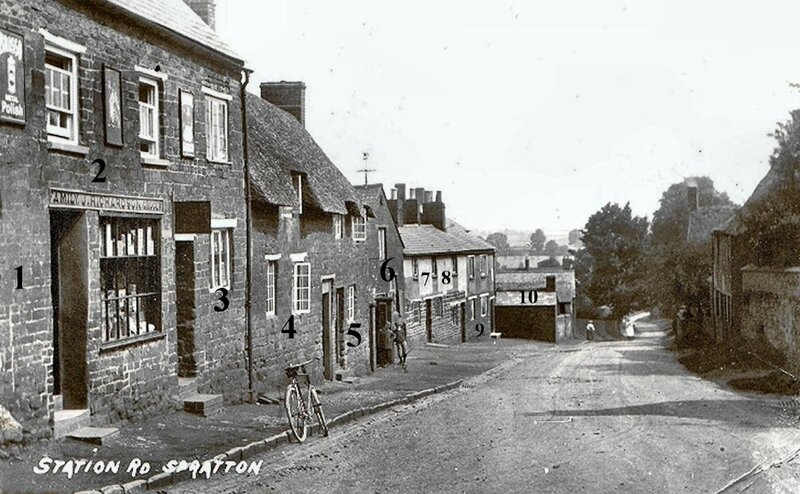 Grade II listed building with a date stone of 1725 over the front porch. Owned by Samuel Pearson from around 1840 - 1889, with Pearson the landlord from 1861 - 1881. 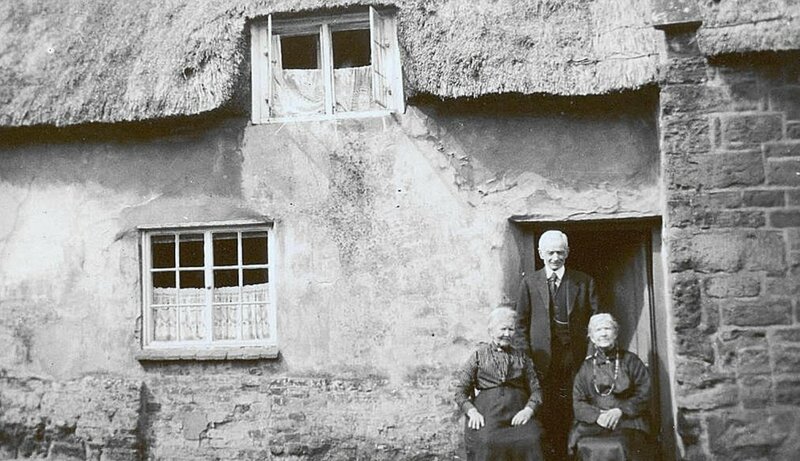 In 1889, the business was taken over by T Manning & Co. Ltd (with Levi Richardson running it in 1891), who later in 1907 bought the property from the Wetherall family as mortgagees of Robert Tomblin. Henry Catchlove (wife Sarah Catchlove) was the landlord in 1901, Mrs George Knighthall in 1910. Then it was a Manning pub before Phipps acquired the business of Manning in 1939. Ernie Bryant was the landlord in the war years until 1947, then Lillian Gammage until it was closed in 1960. 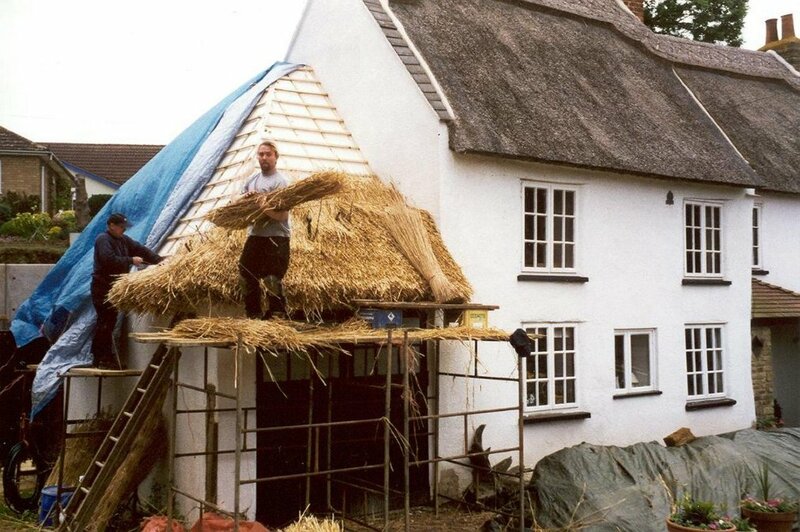 Originally thatched in Long Straw (the traditional material for the village), it was re-thatched in the late 1980s with Continental Water Reed and again, by Roger Scanlan, in 2003. 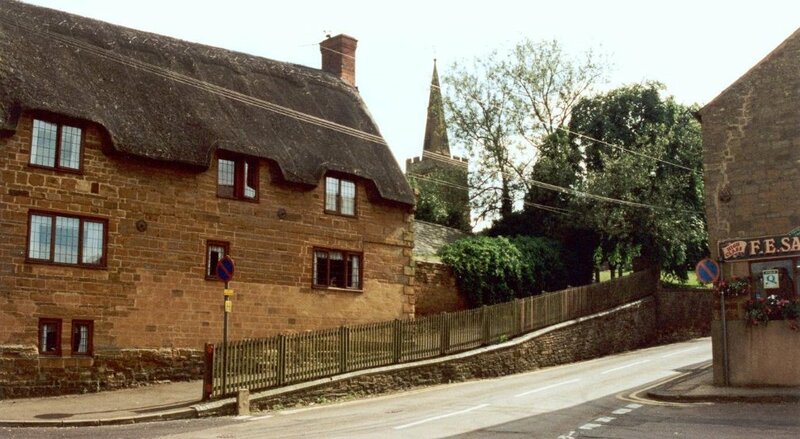 The west facing elevation (away from Brixworth Road) of Stone House at the corner of Brixworth Road and Yew Tree Lane being re-thatched by Bob Farmer using Combed Wheat Reed. 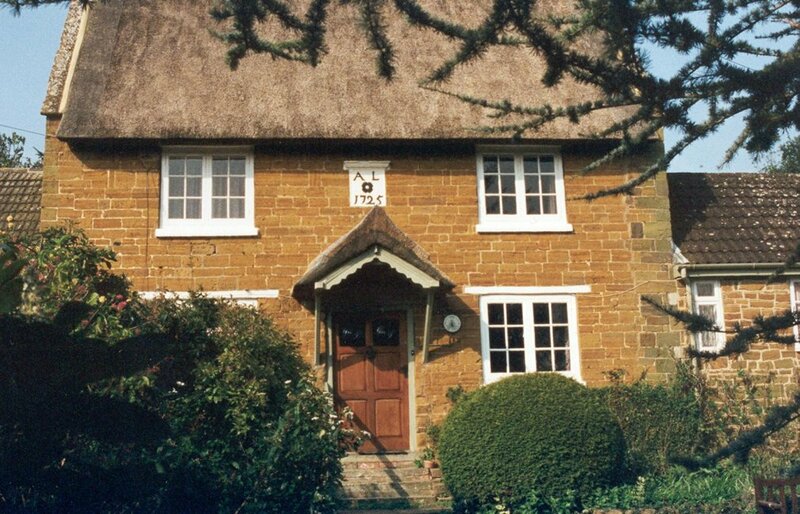 The west facing elevation (away from Brixworth Road) was re-thatched in Combed Wheat Reed by Bob Farmer in 1993, the east facing elevation to Brixworth Road by Roger Scanlan and Nick Lovell using traditional Long straw in 2003. 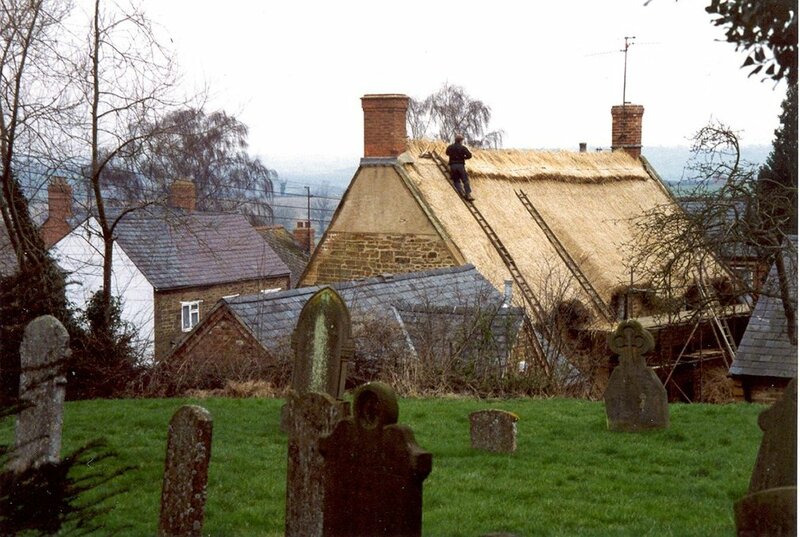 Re-thatching of the garage at Radley House, corner of Holdenby Road and The Walk.